In the past, we’ve made it abundantly clear how we feel about The Hanging Tree remix. To sum it up, we think that the original remix sent out to all the pop stations is not true to the spirit of the actual song and its meaning. Also, it just sounded really tacky, cheap, and unoriginal. But alas, the song itself has sold really well (mainly in its original version) and debuted at #12 on the Billboard charts (as compared to #82 for the soundtrack single, “Yellow Flicker Beat”). It seems that Republic Records wants to ride The Hanging Tree train alllll the way to the station. When we saw alternative, we got a little worried because the genre contains all manners of music and could, quite possibly, have gone off the deep end quickly. It’s basically the “et cetera” genre. But then we listened and… it’s almost like someone out there tried listening to the fans of once! We’ve been saying that The Hanging Tree is not a hip, dance-y pop number. It’s minimalist and dark. And this remix actually makes an effort to focus on the vocals and the message with a low-key musical arrangement with haunting undertones. That plucking but that reminds us of Gotye’s “Somebody That I Used To Know” makes us raise an eyebrow a little, but it’s still a major improvement. The original will always be the best, in our opinion. It’s meant to be something powerful, sung without musical backup by a young rebel before a crowd catches on, a classic score swelling up behind their voices. Nothing is ever going to beat the movie version. 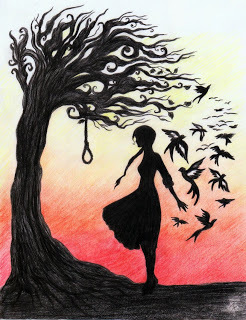 But if The Hanging Tree HAD to be remixed for radio, it should have been something like this all along. We Actually Want To Hear This Again. It’s A Miracle!